Weight: can you measure up?! We are using a balance to predict what objects are the same weight (eg. what weighs the same as my eraser) and then comparing the weight of objects using non-standard units of measure (we are mostly using unifix cubes as they are in plentiful supply). It is as yet untested by my class but looks like a winner to me. You need to add/remove the weights in order to make it balance. 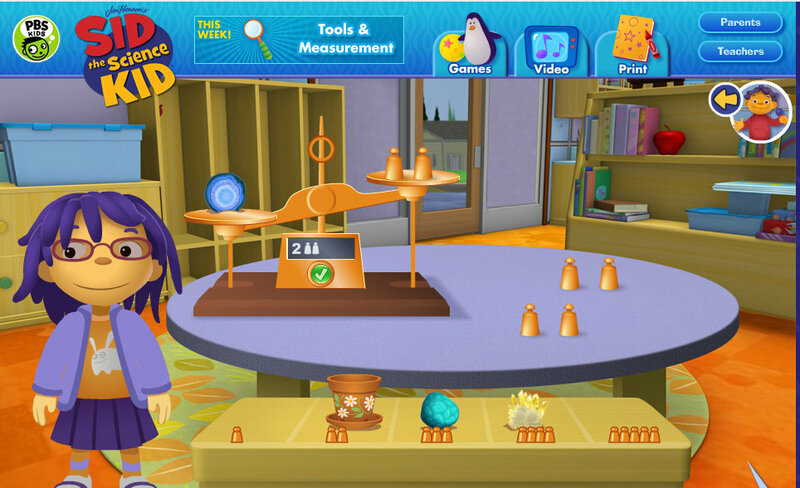 The graphics are very clear so children can easily see if the rock is heavier or lighter than the counters. Then they can remove/add counters one at a time in order to achieve a balance between the two. Then click on the “tick” to see if you are correct. “Sid the Scientist” gives clear explanations and chats a little about weight and perception. Overall it is a great game. I can’t wait to play it with my class tomorrow!